Does Zyflamend Work For Fibromyalgia? Zyflamend is a wildly popular dietary supplement. Even though its name has a pharmaceutical ring, it contains only herbs. Actually, it’s made with a mix of 10 herbs. These include rosemary, turmeric, ginger, tulsi (holy basil), green tea, hu zhang, Chinese goldthread, barberry, oregano and Chinese skullcap. It’s believed this combination creates a synergy that helps control chronic inflammation. (If you suffer from fibro, chronic inflammation is your number one enemy.) If you can reduce inflammation, your pain levels should also decrease. 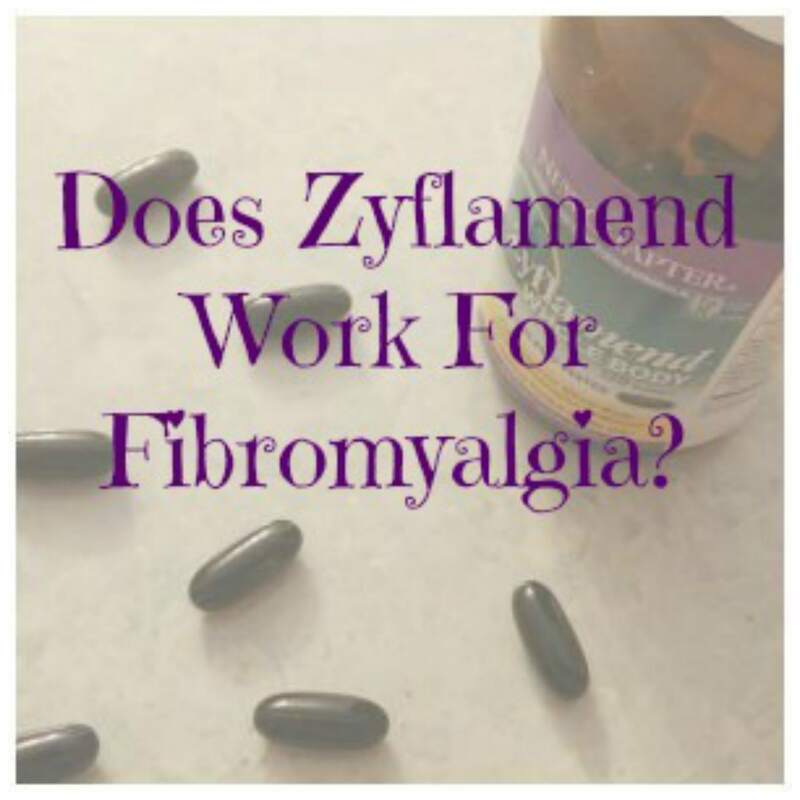 The individual ingredients in Zyflamend have long been used as folk remedies for the symptoms associated with fibro. So, does Zyflamend work for fibromyalgia? I first learned about Zyflamend from my a relative. He takes it for his knee. He raved about it, and told me I should try it myself. After about a year, I finally broke down and bought some Zyflamend. It did seem to help, even though my body doesn’t seem to respond well to turmeric, at least for pain relief. But tulsi (otherwise known as holy basil) seems to help me. I faithfully took Zyflamend for more than a year. Actually, I probably shouldn’t have taken it this long without a break. From everything I’ve read, herbs are not meant to be taken indefinitely. So I try not to do this. Instead, I keep a stock of herbal remedies that I switch around. I take them as my body craves them. If I begin to lose a taste for a remedy, it goes back in the medicine cabinet, at least for a while. Zyflamend has been in my medicine cabinet for years. I’ve been told that my nerves are inflamed. This might be the reason why OTC pain relievers never touched my pain. After taking a few ibuprofen tablets, and getting no relief, I decided to treat my pain totally without medication. Aside from the fact that ibuprofen didn’t work for me, it can also cause side effects. These side effects can be serious and even life threatening. Although serious side effects are relatively rare, nothing is rare when it happens to you. That’s why I don’t like to take anything that’s potentially dangerous, especially if there’s no clear benefit. To date, it doesn’t appear as if there’s enough research for anyone to say with certainty that Zyflamend can help with fibromyalgia pain. This doesn’t mean that it can’t. It only means the proper studies haven’t been conducted. Unfortunately, with our current medical system, the focus is mainly on bringing new pharmaceuticals to market. Herbal remedies get the short end of the stick. So I can’t say for sure whether or not you should take Zyflamend. It did seem to help my pain level, even though turmeric is not one of my personal best remedies. (However, other people find great relief with this spice.) I’ve heard others rave about Zyflamend. My relative doesn’t seem to be able to live without it. We’re all different. What relieves symptoms in one person may not in another. We’ll all probably see the best results working with a professional herbalist. (However, I’ve never been able to find one in my area.) Short of that, we can experiment to find things that work for us. If you want to try Zyflamend, my best advice is to order the smallest size available, and see if it helps. It’s often recommended that we take periodic breaks from dietary supplements. I’ve found that healing involves a lot of research. What works for one person may not work for someone else. Fortunately, we live in an age when there’s an abundance of resources. One of the best articles on Zyflamend that I’ve been able to find is written by Dr. Ray Sahelian, MD. You can read it here. Instead, it required a total overhaul of my lifestyle, dietary changes and a slew of natural remedies and natural healing methods. You can read about everything I did in my online course called Natural Pain Management Strategies. Click on the image below for more information.